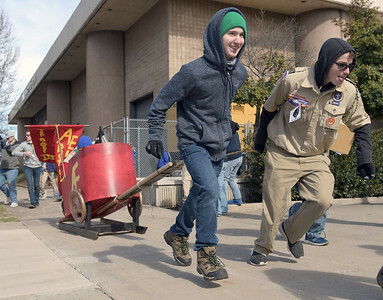 Teams race by pulling their own sleds with supplies downtown during the 50th, Anniversary of the Vance Klondike Derby in Bristol. 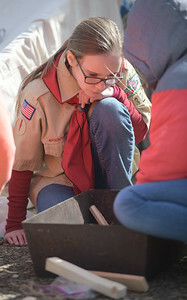 Nolee Wheeler, 11, is a member of the all girl Troop 32 in Bristol Tennessee the was just formed in February so that girls can be part of the Boy Scouts. 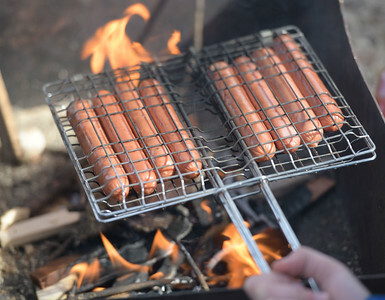 The food staple is hotdogs on an open fire during klondike Derby on Saturday. 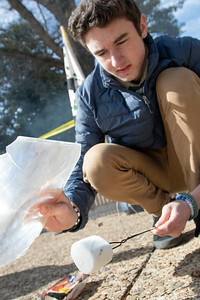 Corbin Birt from Troop 5 in Bristol, Virginia was cooking a marshmallow with the sun during the 50th. 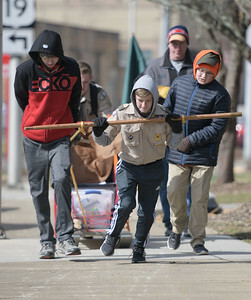 Annual Vance Klondike Derby in Downtown Bristol on Saturday. 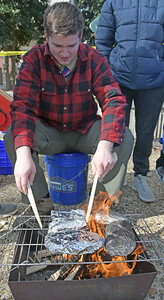 Miles Barker, Troop 5 from Bristol, Virginia was cooking chicken, potatoes and carrots instead of hotdogs during the 50th. 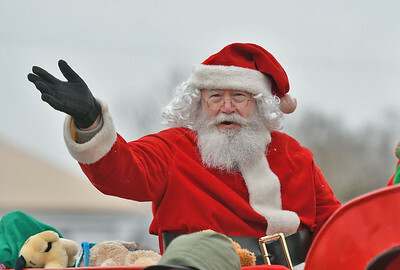 Annual Vance Klondike Derby in Downtown Bristol on Saturday. Andrew Sullivan from Troop 222 from Abingdon Virginia was in charge of cooking lunch for his troop during the 50th. 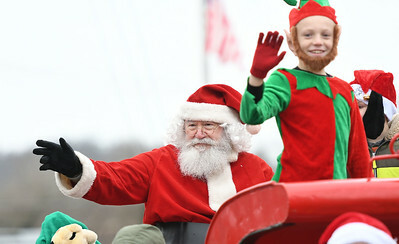 Annual Vance Klondike Derby in Downtown Bristol on Saturday. 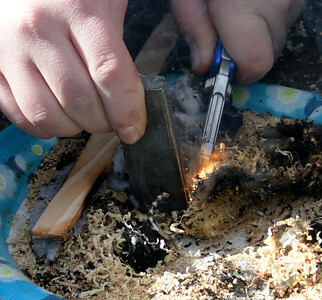 Scouts had to start a fire to cook lunch as part of the 50th. 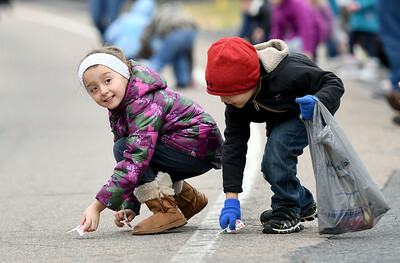 Annual Vance Klondike Derby in Downtown Bristol on Saturday. 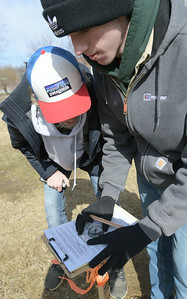 Gavin Bagwell and Bryce VanDergriff from Troop 70 in Abingdon, Virginia work one of the stations during the 50th. 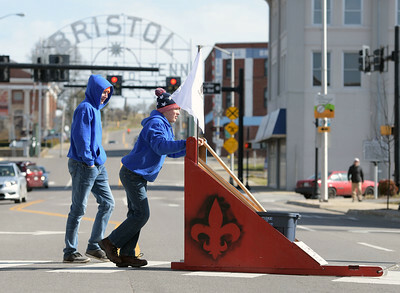 Annual Vance Klondike Derby in Downtown Bristol on Saturday. 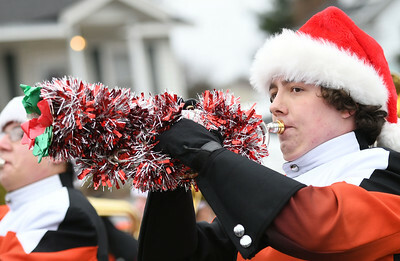 Santa throws stuffed animals at the end of the Blountville Christmas Parade on Saturday, December 8, 2018. 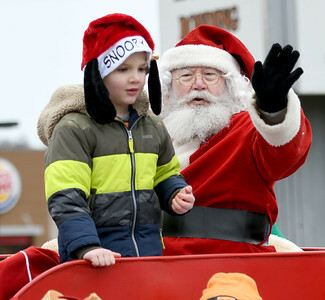 Santa greeted all the children and adults at the end of the Blountville Christmas Parade on Saturday, December 8, 2018. 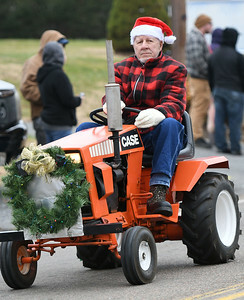 Antique tractors and lawn mowers were in the Blountville Christmas Parade on Saturday, December 8, 2018. 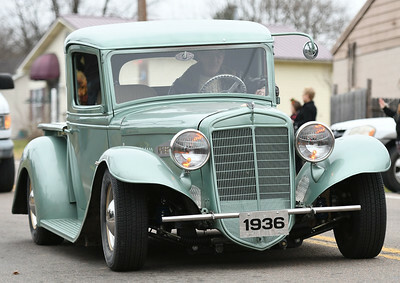 Several antique cars and truck were part of the Blountville Christmas Parade on Saturday, December 8, 2018. 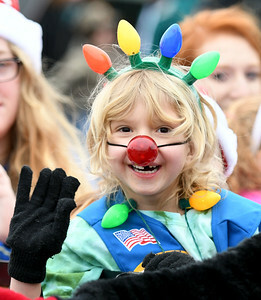 Red light nose and colored lights in her hair helped this float rider bring in the season during the Blountville Christmas Parade on Saturday, December 8, 2018. 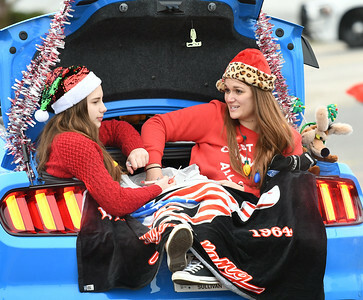 Sometimes the only space in a car during a parade is in the truck like these two in the trunk of a mustang during the Blountville Christmas Parade on Saturday, December 8, 2018. 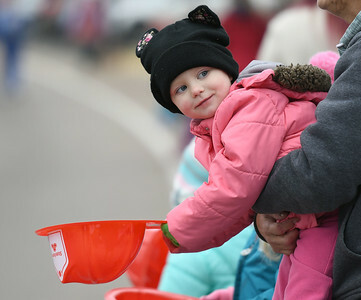 Rylee Sandrige, 3, holds onto her fire hat to collect candy during the Blountville Christmas Parade on Saturday, December 8, 2018. 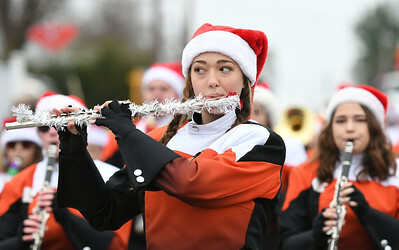 Sullivan Central Band performs during the Blountville Christmas Parade on Saturday, December 8, 2018. 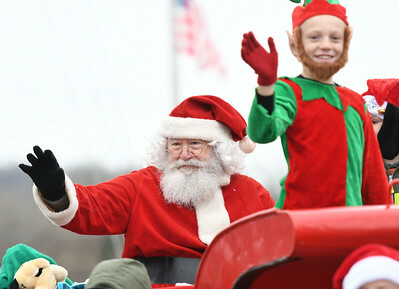 Children collect candy thrown from the parade floats and cars during the Blountville Christmas Parade on Saturday, December 8, 2018. 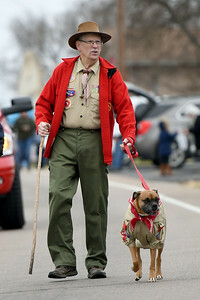 Scouts old, young, and dog (troop 215) walked in the Blountville Christmas Parade on Saturday, December 8, 2018.